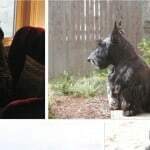 Norwegian dog trainer Turid Rugaas has worked with dogs and studied their body language and behavior for most of her life. 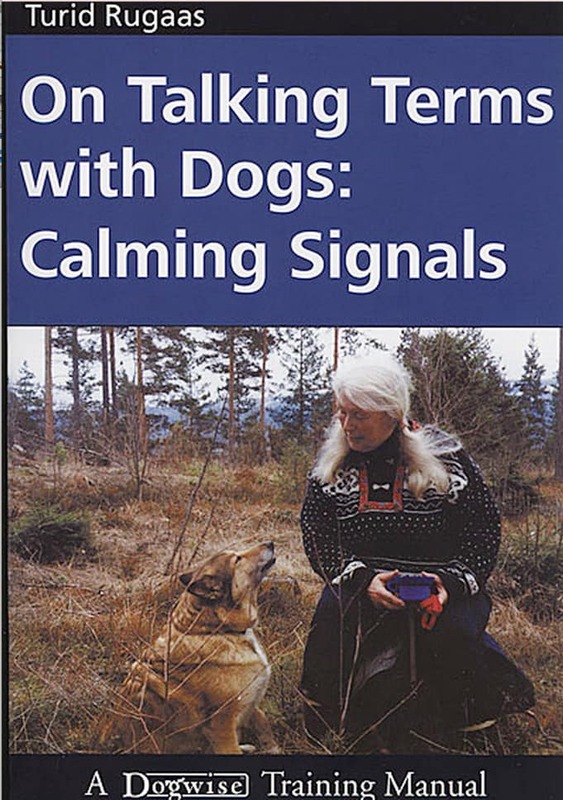 She is one of the world’s foremost experts on dog behavior, and in this book, she talks about what she calls “calming signals”. Wolves and dogs use body language to communicate a variety of things, and calming or cutoff signals are intended to stop aggressive behavior before it starts, or to break up a fight. 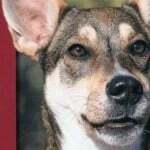 Dogs use these techniques both to calm themselves down in a stressful situation, as well as when communicating with other dogs and us humans. The signs can be very subtle, and unfortunately, we humans are often not very good at understanding what it is they are trying to tell us (and it can be tricky – did the dog turn his head because he heard something, or is he trying to calm us down?). 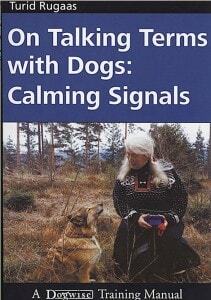 In this book, Turid teaches us how we can communicate with dogs on their terms, and better understand their language. I first heard about On Talking Terms with Dogs when I was in animal massage school. 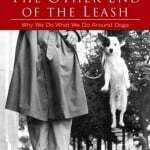 We watched a DVD of Turid Rugaas working with dogs and it was quite an eye opener. I promptly bought the book and read it in one sitting. I can tell you I was thrilled the first time I tried the “yawning technique” and it immediately worked. I’ve used that tactic many times over the years, and it never fails. Notice how dogs yawn when they are uncomfortable with the situation. You can apply that behavior as well to help your dog calm down; start yawning repeatedly and you’ll see your dog eventually settling down. Another favorite of mine is the “pretending to be interested in something else” to make a shy dog feel comfortable approaching you. This is a tiny book, but it is packed with advice and instructions as well as examples and case studies. I highly recommend it to anyone sharing their home or working with dogs.